It was a reckless wager, and one Max couldn’t resist: seduce the alluring Olivia or forfeit part of his fortune. Yet the wild, soon-to-be Duke never imagined he’d fall in love with this innocent beauty. Nor could he have guessed that a dangerously unpredictable rival would set out to destroy them both. Now, Max must beat a Madman at his own twisted game-or forever lose the only woman to have ever won his heart. If you would like a chance to win, enter using the Rafflecopter form below. A big thanks to Jennifer Haymore for providing the prize! This contest is open to US residents only. Great giveaway–thanks! 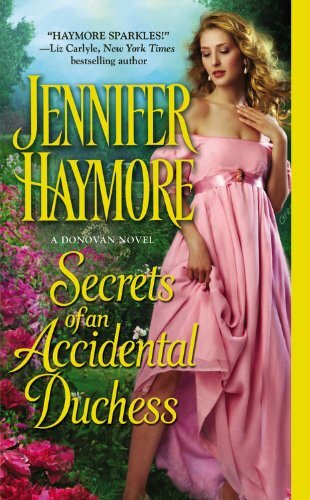 I’ve read the first few books of Jennifer’s and LOVED them, so I look forward to this one as well! Never read one of her books before!! It sounds good! This looks like a great book. Thanks for the chance to win a copy! I loved Confessions of an Improper Bride. If you join Jennifer’s email list, she will send you some beautiful book marks with her book covers on them! Thanks for the giveaway. What a great giveaway. 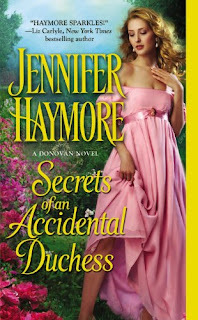 Love Jennifer’s books.